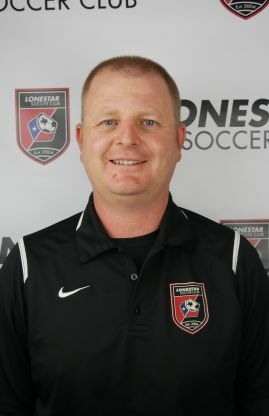 Maca has been with Lonestar Soccer Club for the past 12 seasons. Before his time with Lonestar, Maca served as the Director of Coaching for the Boys' Competitive program at Albion Hurricanes Soccer Club in Houston. He was instrumental in building both the select Boys' and the Junior Academy programs making Albion Hurricanes one of the top competitive soccer clubs in South Texas. During his time at Lonestar, he has coached teams to win State Cups with the 97B Red (2009, 2010, 2011) and 99G Red North team (2012). Maca currently coaches both Boys and Girls teams at the first season in the SCL League, and over the past six seasons has qualified eight Lonestar teams into Region III Premier League. Maca has previously served as the Recreational Director and Junior Academy Director for Lonestar Central (CBA) with over 250 players per season training out at the Justin Lane Location. Maca is a current South Texas Instructor who teaches the U.S. Soccer National E License, U6-U8 Module and U10-U12 Module.